It may simply be a stroke of luck. But thank your lucky stars, veteran alt-rock band The Strokes are swinging by this side of town to bring in a show that's touted to kick-off their 'global comeback'. 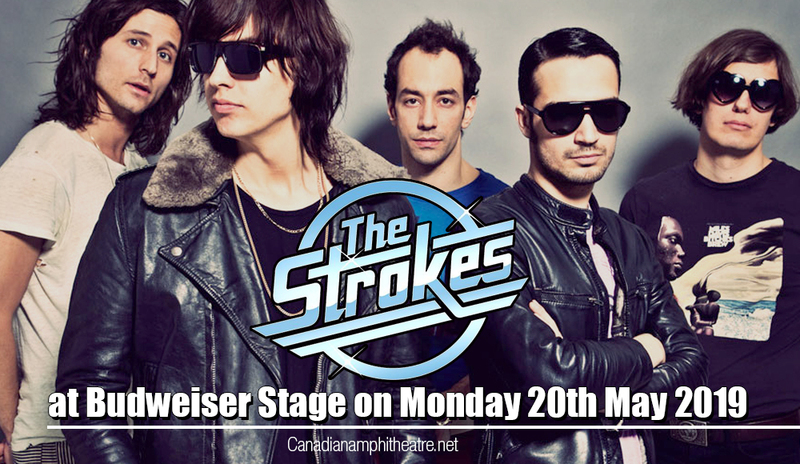 Catch the much-awaited live concert of The Strokes at Budweiser Stage on Monday 20th May 2019. With a throng of devoted Strokes fans, there will be no shortage of demands for tickets. But how long will the supply of tickets hold up? No one can say for sure. Best thing to do is get your tickets quickly; now if possible. With the date just around the corner, delaying your satisfaction of actually getting hold of a ticket is not a sound option. Nothing beats the early bird. Go, book your tickets now! The singles "Last Nite" and "The Modern Age", and the album 'Is This It' by The Strokes has set the bar high for alternative music levels of artistic excellence and commercial viability. They have created their own shoes that may be a bit too big even for themselves to fill-in, as they came up with their succeeding releases. But this does not discount the fact that The Strokes are a formidable force in the alternative rock music scene. Their stunning debut Is This It, released in October 2011 was lauded by critics and fans alike. Rolling Stone gave it 4 stars, and got a whopping 9.1 score from Pitchfork; plus Entertainment Weekly even named it the best album of the year, to boot. With their 'overnight' success, so to speak, The Strokes forged on with their high-flying careers — releasing five studio albums and 12 singles to date with noteworthy hit singles such as "Last Nite", "Hard to Explain", "Juicebox", "Heart in a Cage", "Under Cover of Darkness", "Taken for a Fool", and "Someday"; scooping up awards and recognition from the BRIT award, four NME awards, and a Meteor Music award, and keeping their fans alive and kicking with live shows be it in concert halls or music festivals. Strokes fans are reputed to go rabid when show tickets go up on sale. Take a bite and sink your teeth before it's gone!